Mini Wonderful Curves, Sew Kind of Wonderful- Sixteen small projects from table runners to wall-hangings that evoke the seasons and the holidays. 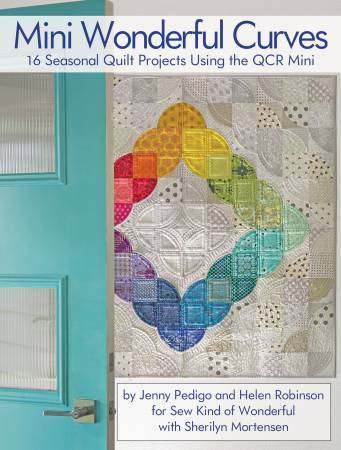 The projects use the Quick Curve Ruler Mini to make a one size pieced curve block. The one size one curve block is the basis of each of the sixteen quilts that look so complex but are amazingly simple. How to instructions and illustrations thoroughly explain the entire curved quilt process from cutting and piecing to squaring up the blocks to pressing curved seams.